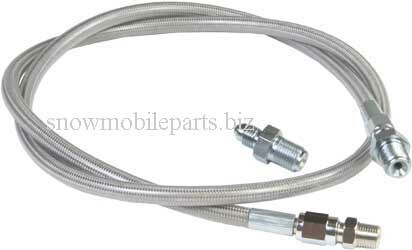 Snowmobile brake line are 6" Longer than stock length brake line. 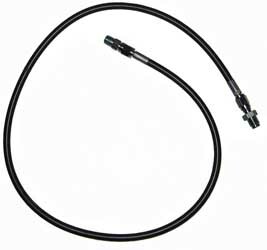 Manufactured using high quality Teflon line and stainless steel braided hose, which have a clear UV protected covering. Snowmobile brake lines come with triple corrosion tested fittings for ultimate corrosion resistance. Easy Installation swivel fittings. At Least 4" longer than stock (overall lengths given). Stainless steel braided line with UV protected PVC coating. Teflon smooth bore liner reduces line expansion. Non banjo lines swivel for easy installation.